One look at the pasta being hand made in the glassed in pastificio and you know you’re in for a treat at Cesarina, the new Italian eatery in Point Loma. The eggless pasta is tenderly crafted and then combined with scratch made sauces, proteins, and locally grown produce to create mouthwatering dishes. Chef Patrick Money has created a menu with regional interpretations of classic dishes or, if you’d like to create your own, a build-your-own-pasta option lets you design your own bowl full of heaven. Cesarina’s eggless pasta is lighter in flavor and consistency. Chef Patrick learned the recipe for traditional pasta (with egg) from his nonna in Italy. He uses this recipe for making ravioli, as the texture for ravioli needs to be a little more elastic than the eggless version permits. Chef Patrick, who grew up in Italy, had a ‘nonna’ who spent 15 years as a pasta maker in a neighborhood bakery in northern Italy. Influenced by his grandmother’s techniques, Patrick developed an early appreciation for the art of pasta making. His vegan pastas are made only with imported semolina flour and water. In addition to their pasta being vegan, Cesarina offers a surprisingly extensive vegan menu, with dishes that entice omnivores as well. Their Caponata and Polenta combines grilled polenta with Sicilian caponata, romesco sauce and fresh mint. Or try the flavorful vegan Cali-Flower, roasted cauliflower, with pistachio, raisin and calabrian peperoncino relish, and fresh mint. For dessert, a nontraditional vegan tiramisu is plated tableside, layering homemade ladyfingers with espresso, crema al mascarpone, and cocoa powder. 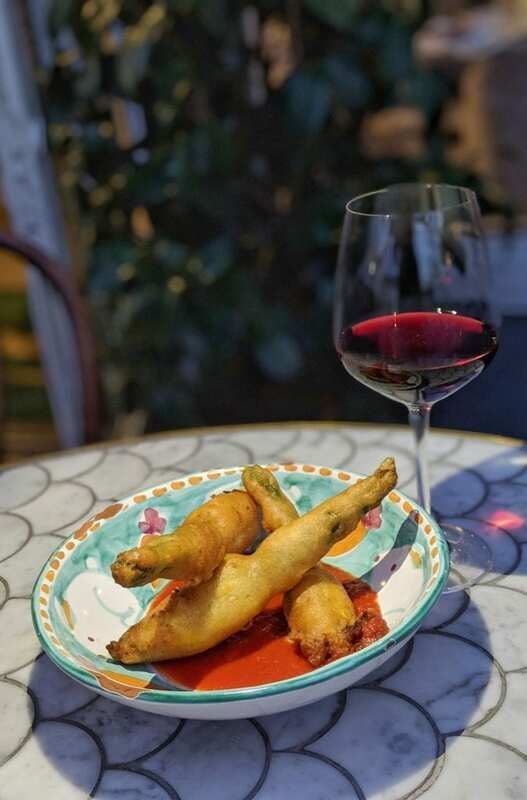 On the regular menu, try the exquisite Fiori di Zucca, deep-fried zucchini blossoms stuffed with ricotta, served over tomato sauce. 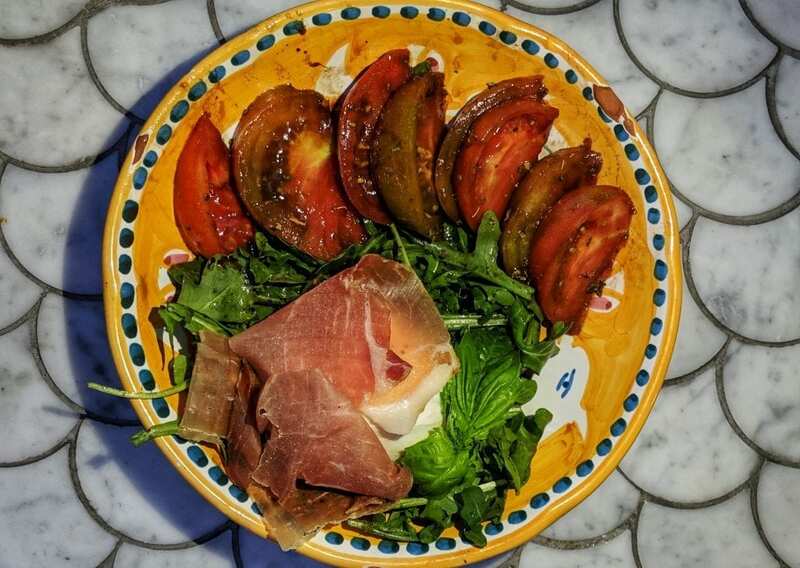 Or enjoy the classic caprese with burrata and heirloom tomatoes. 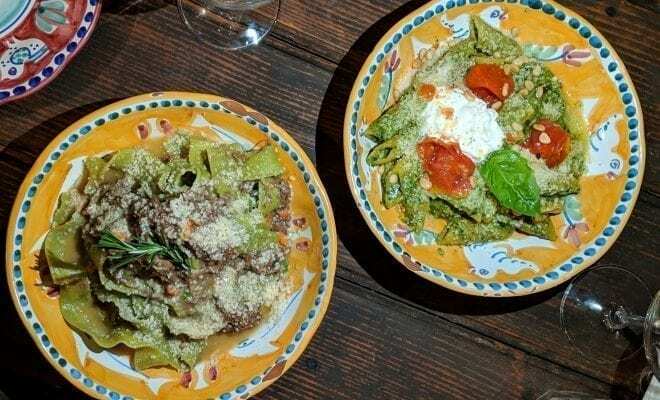 For pasta, the Pesto alla Genovese sauce is a standout in the build-your-own section of the menu. The and-crushed basil pesto is so delicious you might be tempted to lick the bowl. For a hearty option, try the Pappardelle Shortribs, combining spinach pappardelle with slow cooked braised shortribs, topped with parmigiano. Headed by Italian restaurateurs Niccolò Angius, Giuseppe Scognamiglio and Giuseppe Capasso, Cesarina is a brick-and-mortar offshoot of their farmer’s market shop. Cesarina is open daily for lunch and dinner, and serves breakfast Wednesday-Sunday. Cesarina is located at 4161 Voltaire Street, San Diego, CA 92107. 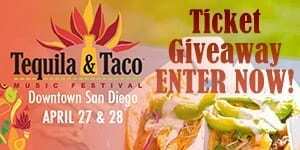 For more information and reservations, please visit www.cesarinarestaurant.com or call 619.226.6222.